While foreign residents live in Japan, many of them might have opportunities to drive a motor vehicle. Those foreign drivers are required to have an appropriate license such as an international driving permit or Japanese driver’ license, therefore they should also be familiar to traffic rules in Japan. Where there are rules, there also are penalties when drivers violate the rules. But in reality, not many people know what penalty is imposed on each offence. Then, let’s explore examples of traffic offence and corresponding administrative and criminal penalties for Japanese driver’s license holders. Japan operates a demerit point system for driving offences. Under this system, drivers are issued with demerit points depending on offences or violations they commit, and suspend or revoke their licenses depending on their offence records and accumulated demerit points in the past 3 years. The demerit point system can be broken down into 4 parts. 5points is given when a driver causes any property damage by hitting other car or building and runs away. A driver has 0points when they first obtain a license. Every time he/she violate traffic regulations, points are accumulated. For example, if a driver is negligent the red light, enters the junction without overspeeing, makes a contact with a pedestrian and causes an injury that requires less than 15days treatment: 2points for negligence of traffic light, plus additional 3points for traffic accident, total of 5points will be given to the driver. Also, his/her past offence record will be taken into account to decide administrative and criminal penalties for the situation. When a driver commits traffic offences, an administrative penalty might be imposed depending on his/her accumulated demerit points, traffic offence or accident records in the past. For example, if a driver with 0 accumulated point, who has no previous offences or penalties in the past 3years, commit a traffic offence for the first time, his/her license will be suspended for 30days for 6 accumulated points, 60days for 9 accumulated points, 90days for 12 accumulated points, and revoked once accumulated points reaches 15. On the other hand, if a driver who had administrative penalties twice in the past 3years commit another offence, his/her license will be suspended for 90days for 2 accumulated points, 120days for 3 accumulated points, 150days for 4 accumulated points and will be revoked for just 5 accumulated points. The primal rule is, the better the person’s driving record is, the more tolerate the consequence will be. Or badly behaved drivers will have more significant penalties in other words. As for minor common offences, for example less than 20km/h speeding, a driver might be exempt from being prosecuted and penalties if a driver pay fine by using the payment slip that comes with a notice of traffic offence (blue ticket). The fine can be paid by using the attached payment slip at a bank or Japan Post. 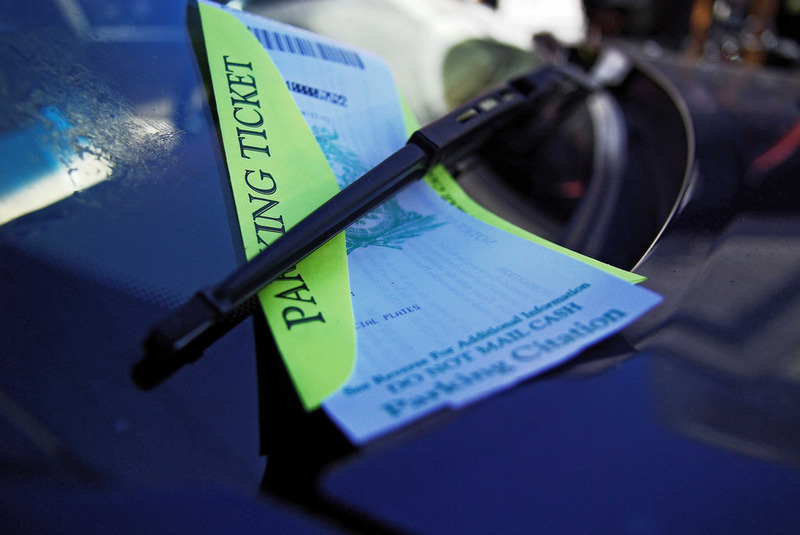 The payment of fine is due 7days from the issuing date of blue ticket. The followings are examples of fines for offences by standard sized car. On the other hand, drivers who have committed serious cases of common offences or specific offences which are recognized as malicious cases are subject to criminal penalties. In such cases, the driver will receive a notice letter (red ticket) to summon him/her to police and court. In addition, if the case is extremely pernicious, the driver will be arrested and detained. After a red ticked arrived, police and prosecutors interview the driver to investigate the case. Once a prosecution is confirmed, the driver will be brought to trial and penalties such as criminal fine, imprisonment or jail labor will be sentenced. Type of penalties differs depending on each case and there is no answer books. Therefore the below is just a rough ideas of penalties imposed for major offences. A fine applies to only minor cases of common offences. Even though the nature of offence is rather insignificant, these cases are also supposed to be prosecuted to give a sentence. However, it is simply not practical to bring all these number of miscellaneous cases to court, considering the number of cases occurring everyday. Therefore the blue ticket system has been introduced to alleviate the overloaded procedures by letting drivers confirm their offences and pay fines to exempt themselves from the prosecution. After drivers pay the fine, the case is closed and no criminal record will be recorded. A criminal fine, on the other hand, is a crime sanction decided in a court. Therefore there will be a criminal record. Despite that no demerit points are accumulated for foreign licenses or international driving permits holders, they are also subject to the same fines and criminal penalties as Japanese license holders if they violates traffic regulations. Foreign license or international driving permit holders follow the same procedures after they receive a blue or red tickets. So far, we have looked through the outline of administrative and criminal penalties for traffic offences in Japan. You might be familiar with a demerit point system for traffic offences as it is common system in many other countries. In Japan, regulations for drink driving are getting more and more severe. Double check the traffic rules in Japan before you go out and enjoy safe driving!